Wednesday was the first night of the Jewish New Year holiday, Rosh Hashanah. I took the day off from work, went to the Synagogue and thought about my life. We celebrated by having friends and family over for a big meal. I am grateful to live in a place that has allowed Jews to flourish and prosper. America is such a crazy wonderful exception in a world of intolerance and outright hatred. Anybody who has lived long enough to know people who fled the Nazis or has seen photos of Auschwitz, or like me, had the privilege to visit a concentration camp and walk into the shower room where millions were murdered, appreciates what a gift it is to grow up free in America. My brother-in-law Maury was born in Italy and came to this country when he was three years old in 1940. Many of his relatives died in the Holocaust at the hands of the Nazis. He feels the immense gift of living in this country even more vividly than I do, as a European thankfully dropped into America just days before his family would have been trapped in the old country. 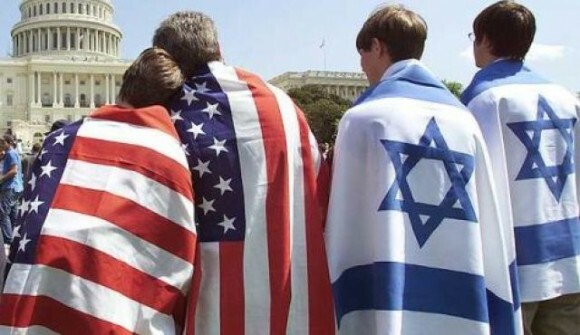 Today, American Jews fight wars vicariously through our cousins in Israel. We watch movies about World War II, but it feels like another planet to most of us. For me, growing up in the 1960s, the Holocaust burned hotly in my gut. I had nightmares about my ancestors suffering and starving and dying in Dachau. But today those dreams and visions are more remote. The Holocaust is no longer a reason, by itself, to be a practicing Jew in America, because of the country’s religious tolerance. Freedom and equality in the U.S. have enabled many Jews to move into the business and political elite. It’s a tantalizing pleasure to fit in with everyone else, rather than always thinking about being Jewish and different. Unfortunately, much of the world still seems to despise Jews like the bad old days. Anti-Semitism in France and Belgium is rampant. The Arabs generally still hate us. The Turkish government has become an enemy. Venezuela is a hostile place. All the more reason to treasure the gift of being born free here in the United States. The big challenge for me is to stay engaged with the spiritual aspects of Judaism without the external challenge of hostility and alienation that Jews have almost always lived with. I am not longing for outsiderness. I know how great we have it here, and I am acutely aware that America is an aberration in a world of hatred and jealously. I see my grandchildren growing up so sheltered and innocent, yet they go to school in a fortress patrolled by armed guards because the parents of the kids know the bigger world still loathes the Jews. It is the great challenge of today’s American Jews to stay engaged in Judaism with the threats to our well being seemingly an ocean away. But I fear deep in my gut that these last 50 years in America have been too good to last. Question: Do you think the United States is tolerant towards minorities? History repeats itself. Hard as it may be to contemplate, if we stop educating the young to the events of the holocaust, we are inviting it to happen again. Even today a growing number of young people don’t believe it happened. Thank you for writing about it. We cannot afford to forget, ever. Yes I do think that America ( and Canada) are tollerant towards minorities. We basically all have the same rights ( housing, education, employment) the American ( Canadian) dream is open to all of us. Those that dont want to buy into it will stay behind and will always complain that it is due to the fact that they are members of a minority. Look around us there are members of all types of minorities taking their place at the head of every proffession and business throughout this continent. I am proud to be a member of a minority. “It is the great challenge of today’s American Jews to stay engaged in Judaism with the threats to our well being seemingly an ocean away.” I’ll be honest Lloyd, I don’t know what that means? For me, being a follower of Christ has very little to do with Christians being persecuted in Iraq or elsewhere in the world. I have a connection to them, pray for them and do support various worldwide Christian charities, but see my support as spreading the love of Christ and advancing what I see as God’s kingdom, more than protecting other Christians. I am seeking more of an understanding about the sentence I quoted from you above, I hope that question makes sense. As I always, I appreciate your honestly and candor. The United States was founded on Judeo-Christian values. As long as the majority here in America hold that values then we as a nation will always be tolerant towards minorities including the Jews. However; and I am afraid, because America is drifting towards a different values. What would happen if the majority becomes the minority?? What I meant is that I have felt a sense of commitment to those of my brethren who were victims of the Nazis. This loyalty to their suffering has been important in constructing my Jewish identity through the years. My spiritual belief has been a separate issue that I have wrestled with. I respect your commitment to Christ and your deep personal belief. I think most Jews have a more cerebral construct of God and often struggle to “believe” without some skepticism. The thrust of the piece is that because we have lived in a tolerant America for the last 50 years, the fear of Anti semitism has diminished so one leg of the Jewish commitment in America is reduced. I believe the US is more tolerant of minorities than most countries in the world as a whole. No doubt, there are pockets that are worse and some that are better in this country. Some think minorities as, race/color of skin, religion, disabled, illiterates, education, where you lived or came from and the list goes on. My father and his family immigrated to this country after World War II. They were refugees of the war. Their family were Germans who colonized in Yugoslavia and built up their community with ongoing businesses for several decades. Their family had flour mills, hotel and restauraunts and other businesses. The Serbs and Croatts were mostly outside of the towns, on farms and such. When the War started in Europe beginning in the late 1930’s, communism was coming into its prime in Europe, and things got real bad. Communists were evil, and resorted to similar antics/tactics as the corrupt union bosses/mafia in this country, according to my Grandmother, who taught us how life was prior to the World War. Killing and forcing any successful people to move away and taking over businesses for their cause….for money. After the war and my grandfather’s death from tuberculosis, the family had no where to go. All their properties in Yugoslavia were taken over by the communist government and Germany did not want them, so they were given choices of where to immigrate, and they chose the United States. My Grandmother and 6 children all under 18, began their trek to the US. My dad came first, and a year later the rest of the family. None knew English, but they knew several languages as they were passed around Europe in refugee camps, in various countries. So, with that beginning, as all of my siblings and I growing up learned, what it was to be a first generation American and how fortunate we were to live in a country that valued people that were willing to work hard and make a go out of it, no matter what the obstacles. My grandmother would say, “so life’s not fair, so what, do it anyways.” It doesn’t matter where you came from or who you were, you have a better chance of being successful here, than in any other country in the world, according to my dad, even with all its downfalls and wrongs. Dad went thru the 3rd grade in Yugoslavia and couldn’t read or write English, until well into his 50’s, but started many businesses along with my mother and they passed on a great family business to his family. We will always have bias’s, we will never agree on everything, likes and dislikes, all have opinions…right or wrong. But, we still need to be nice to each other…and that is what is missing in todays society. My father had many bias’ and beliefs that go against many of todays liberal thoughts and ideas, but I never saw him chew someone out because of them… well, except maybe his children once in a while, when we weren’t nice or respectful. The United States of America, in my opinion, is THE most tolerant Nation in the World toward minorities; to the point that we have become Stupid about it. That puts our great Nation at risk, and undermines the rule of law. Mike, that was a scary racist comment, slightly disguised. And I hope we stay that way, but it is hard to imagine at this point. My best friend is Jewish, and I was at one point a confirmed Catholic. Since, due to experiences both personal and shared, I have come to mistrust the interpretation of organized Religion by the zealots associated with it in its various forms. I am not saying organized religion doesn’t have it’s place, it certainly does. But the fringes have an increasingly loud platform. The French and Belgian examples in the article are certainly indicative of a loud fringe on center stage. Whether racist or religious, Anti-Semitism has no place in developed society. Nor does any prejudice. Well, I am a human, and an American. And somewhat insulted by the question. I think I understand that most observant people understand and respect that. They carry on with their faith without judging others. As I do. I certainly don’t begrudge them their faith, or belittle their beliefs. Mine are just different. I live by the golden rule, and that is the distillation of most faiths anyway. I try to respect, enjoy, and learn from anyone I can. Treat them as I would be treated. But that’s threatening to some. They can’t get their head around my lack of observance, and they aren’t interested in understanding, they just view me (and other faiths) as different and a threat. And that’s the breeding ground for what happened in the 30’s and 40’s in Europe, and for what is continuing to happen now in the middle east. And there are plenty of other examples in Africa or Southern Asia. Articles like yours that put that into perspective. The large, mostly centrist mass of this country is very tolerant. Tolerant to a fault in some cases, but tolerant. We like that we’re the melting pot. We understand the contributions of various ethnicities and religions to our country. That blend is what makes us what we are. Increasingly, though, the dialog in our press and government is leaning towards Zealotry. The rhetoric about Islam, Immigration from Central America, the insistence that this is a Christian nation, are all things we need to be diligent about, and things we need to push back against. We are about freedom. We need to focus on that. Had we not done that early on, this country would have failed. This is a wonderful country. We need to keep it that way. Your article was truly moving, and we should be proud of who we all are as Americans. But we shouldn’t settle until we drive this creeping intolerance out of common discourse. I think part of your commentary, while I respect it as your opinion, is not well grounded in history. And I am not here to debate the founding of this nation. Simply stating that we are a Christian nation (I know you weren’t stating that, but simply reciting what is often said about America) doesn’t make us such. And while it is grounded in historical fact that we were founded as a Christian nation, we are far from that ideal. I say that as I am a Christian and see an America far from where we were, and not for the better. To say you are a human and American is to deny certain fundamentals that only Christian and Jewish principals put forth, and that you take and accept as inherent freedoms. Many of the freedoms you enjoy are actually a by-product of the faith element you deride. Strangely, I find a paradox in your human/American statement, and then the comment regarding the immigration from Central America. There is point of balance to be found, but you do realize that if our borders are not sovereign then we are no longer America and thus simply citizens of the world and not Americans. Human, yes, but not Americans. The term acceptance is a broad brush term that simply has become a modern PC term. Are we to accept people in this country who are American by birth that want to destroy our value system? Are we to accept someone who believes in human sacrifice because their an American? The simple truth is that acceptance, like many things of a society, is in a constant state of flux. And ultimately, acceptance brings with it unforeseen pitfalls. Every great society has at one point in its history lost its original ideals, it original strength, on the premise of acceptance. While acceptance in and of itself is not the dagger in the heart of America, it is the practicing of it by the individuals within who bring the ultimate collapse and fall. The collapse of historical Israel was its acceptance of the ways of outsiders – taking up their ways as opposed to the outsiders taking up Israel’s ways. Israel was willing to take you in and accept you IF you were willing to live and abide by their ways. But ultimately to satisfy diversity, the ways of Israel became counter to what they originated as. The Jewish people have suffered internationally for centuries, as have Christians for a shorter time period. Yet these two great faiths that struggled with each other, now for the most part accept each other. One major reason is they share many common ideals and beliefs – thus their path of acceptance was one that required relatively narrow deviations. To be accepting of broader ideals would deny them of the freedom to be who they were or are. My point being, and probably better explained, is that if we simply accept others for the sake of acceptance then we will ultimately deny ourselves of fundamental freedoms we enjoy. Simply put, acceptance cannot be applied without conditions. To me, his outsider comment is so powerful for that reason. None of us seek to be outsiders, but we live in a world where each of us are exactly that. So to be accepting of someone else’s ways so that I am no longer the outsider is in and of itself denial of who I am if those ways are counter to mine. That is something America has done, unfortunately to its decline I fear. I think Lloyd’s closing paragraph was so aptly worded and reminded me of something my father said to me often when I was a child “America has had it too good for too long”. He worried often that in the midst of the great successes, America had lost her way and her origin. As an adult I now see my father’s worries.